The following chemicals have been developed for use with scrubber dryers. Some of these chemicals can also be used with other cleaning machines, that may require low foam detergents. Multiscrub is a versatile medium duty economical low foaming alkaline cleaner recommended for use in daily maintenance cleaning operations. Its lower alkalinity makes it particularly suitable for use on sensitive floor substrates. Ideal for use in factories, warehousing, industrial cleaning operations, supermarkets and public areas. Ultra is for use on medium to heavy soiling. Low foaming alkaline formula capable of removing heavy oil/grease deposits in industrial operations. Excellent in food environments where fats, proteins and starches must be removed. Ideal for use in engineering, transport workshops, haulage depots and food processing plants. A highly advanced neutral water based semi quick-break degreasing product for cleaning operations in sensitive working environments where alkaline and more aggressive cleaners are undesirable or forbidden such as corrosion control areas. Practically no smell. Ideal for use in metal storage areas, oil refineries, oil storage depots and on terrazzo and marble floors. A heavy duty low volatility, emulsifiable, semi quick-break solvent degreaser for impacted soiling and to remove difficult oils, grease, tar and bitumen from floors. Designed for use as a pre-cleaner on deep ingrained deposits prior to using Powertech HDLF. Ideal for use in heavy duty industrial areas, haulage depots, transport workshops. A low foaming, extreme heavy duty, water based alkaline cleaner for use in remedial cleaning operations using scrubber dryer equipment. Excellent heavy duty emulsifier that can be used in most deep cleaning operations where an aggressive cleaner is required. Use with Clearway HDX. Ideal for use in warehouses and industrial areas. Hydra Tyre Mark Remover is a specialised heavy duty cleaner designed to remove particularly stubborn rubber deposits such as tyre marks from floor surfaces. Bioscrub is a versatile, biocidal, low alkaline floor cleaner. It is mildly bacterial. 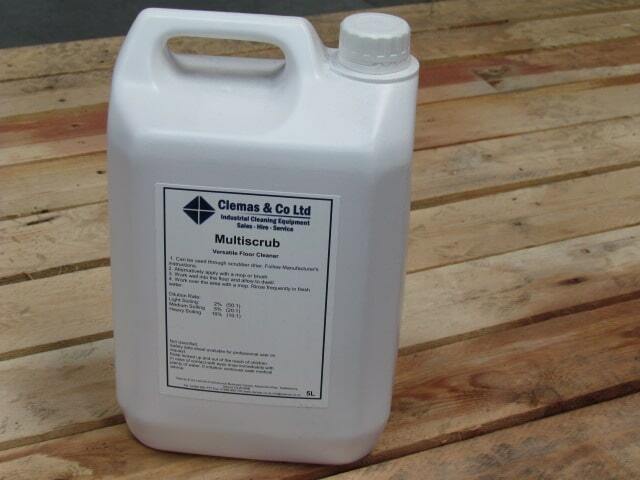 It provides biocidal activity whilst cutting through biological soiling.